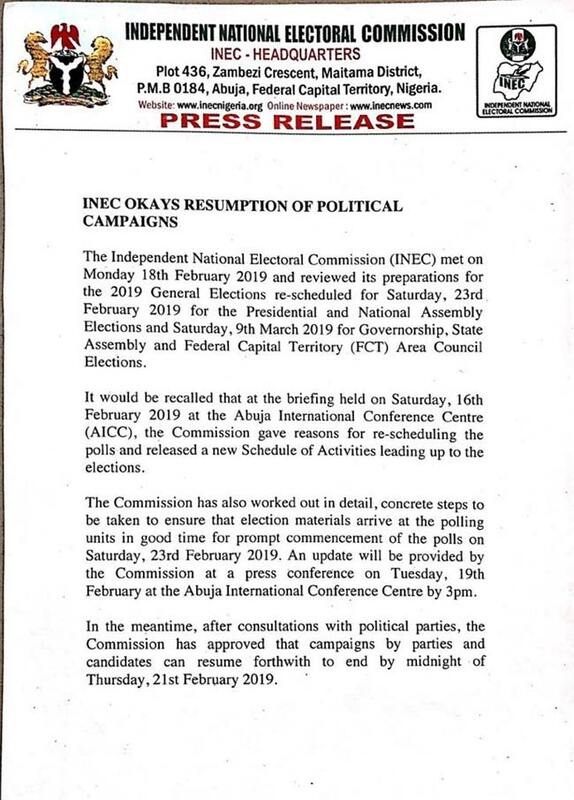 The Independent National Electoral Commission has okayed the resumption of political campaigns. This was contained in a statement by INEC’s National Commissioner and Chairman of the commission’s Information and Voter Education Committee, Mr Festus Okoye. According to the statement, INEC opted to reopen the campaigns after consultations with political parties. The campaigns are expected to end “by midnight of Thursday, 21st February 2019”. 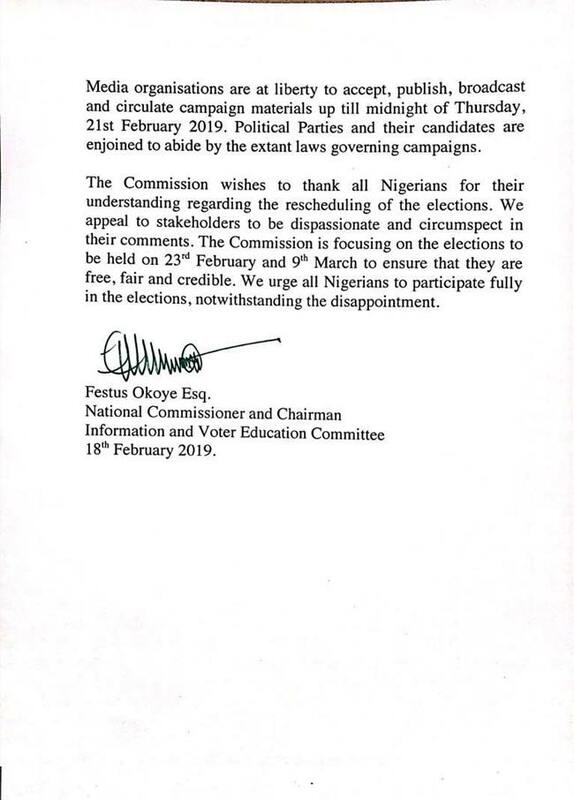 This comes just over 48 hours after the commission told political stakeholders that campaigns would remain closed despite the postponement of the general elections. 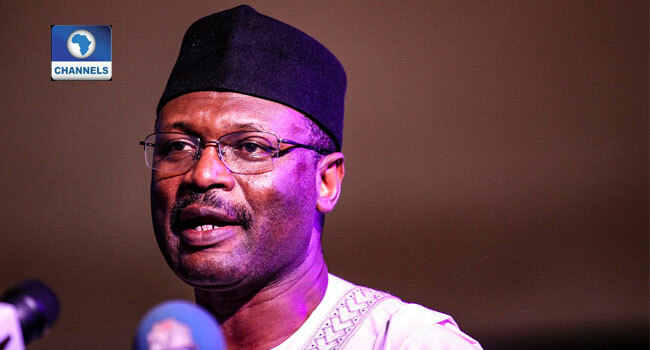 INEC Chairman, Professor Mahmood Yakubu, had said this in Abuja on Saturday during his meeting with political parties and other stakeholders after the elections were pushed back by a week. The decision was unpopular with the political parties and both the All Progressives Congress and the Peoples Democratic Party separately insisted that they would resume campaigns before the rescheduled polls take place.